We are proud to announce that on October 14, 2017 we will be hosting the 10th Annual Danny Burkett Memorial Golf Tournament, with dinner to immediately follow at USD's La Gran Terraza. We invite you to join during USD's Homecoming weekend us for another great day of golf, friends, and fun. We are very proud to announce our 7th scholarship recipient, Rana Verhoog, an Honors student majoring in Accounting. She is a member of Alpha Chi Omega Sorority and served on the Executive Board as VP Finance in 2015. Rana enjoys volunteering with her sorority and church and has a special passion for serving the homeless in downtown San Diego. 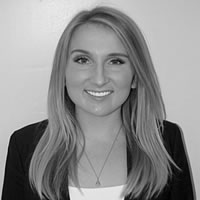 Upon early graduation in December, she will begin studying for the CPA exam and plans to start her career in public accounting at a Big Four accounting firm in San Diego. Rana says, "I cannot say thank you enough to all of Daniel's friends and family and I am truly honored that they felt they saw a little bit of Daniel in me. Thank you to all of the donors and alumni who have given so generously and continue to honor him through this incredible scholarship. I feel extremely grateful to be able to help spread Daniel's legacy of joy and positivity at USD, in Greek Life, and within the community. I will do so to the best of my ability! There aren't words, but thank you!"